The officers of the National Federation of Public and Private Employees consist of a National President, a National Secretary-Treasurer and such other National Vice Presidents as may be authorized by the National Executive Committee pursuant to Article 14 of the Constitution and Bylaws. 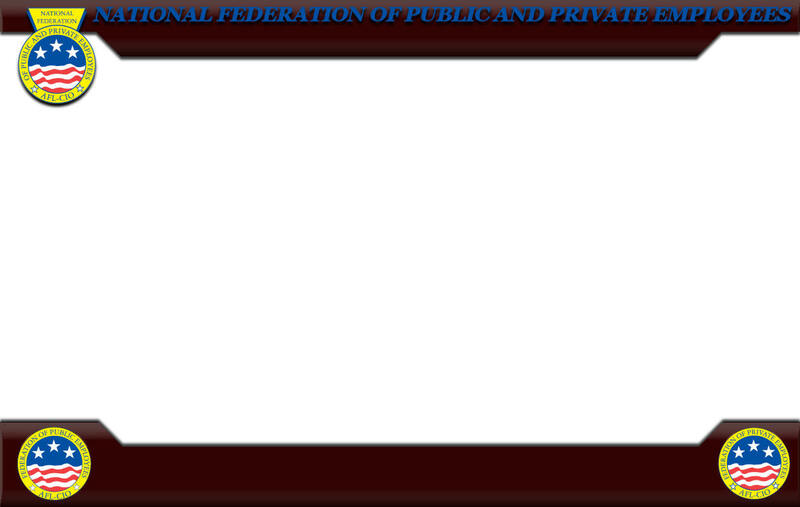 The officers of the Federation of Public Employees consist of a Division President, and a Division Secretary-Treasurer. The officers of the Federation of Private Employees consist of a Division President, and a Division Secretary-Treasurer. Our Business Representatives work directly with the membership to solve on-the-job issues with our members. The Office Staff handles the day to day administration of the union.